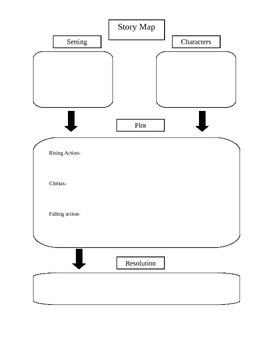 A graphic organizer that is great for planning writing or mapping out a story you have read! Use this after teaching basic literary elements and gone over the plot chart for both reading and writing. 1. A brainstorming tool before they begin writing an original story. 2. To identify literary elements in a book or story they have read. 3. To do a side by side comparison of two texts/stories to find similarities and differences. If you enjoyed this product, you might enjoy some of my other products!